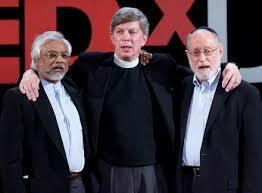 A TED Talk, featuring Pastor Don Mackenzie, Rabbi Ted Falcon and Imam Jamal Rahman— known as the Interfaith Amigos— that started working together after 9/11. Dedicated to supporting more effective interfaith dialogue that can bring greater collaboration to the major social and economic issues of our time. Watch now.